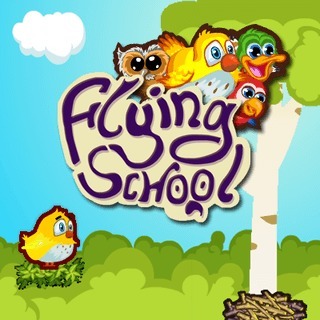 In Flying School you need to help cute birds learn to fly. Drag and aim to make them fly from nest to nest. Be careful: avoid dangers like cats and spiders! Show your skills, collect as many stars as possible to unlock new birds and beat the highest score!